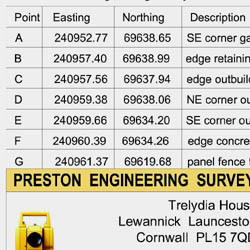 Boundary surveys are undertaken in accordance with Land Registry guidlines. 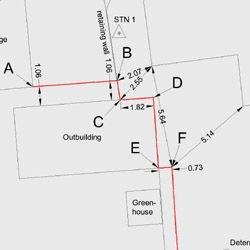 Determined boundary plans can be used to define a boundary line between 2 plots or to sub-divide a single plot. The plans are annotated with measurements to the boundary line from existing structures or can be related to GPS derived national grid coordinates. Please note that we do not advise on boundary disputes or undertake expert witness work.